Photo provided by Crudo Italian. Northern Italian fare hits the Park Cities. 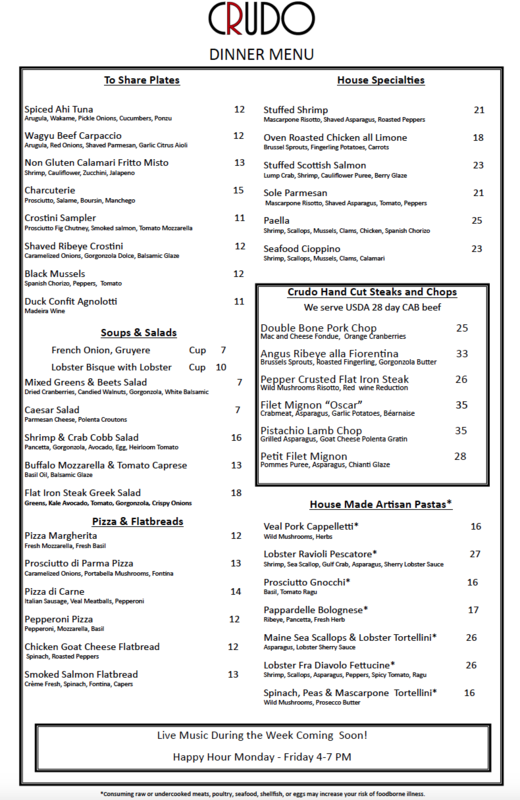 Crudo Italian is located at 8411 Preston Road, Ste. 132. Hours are Monday through Thursday from 11 a.m. until 10 p.m., Friday through Saturday from 11 a.m. until 1 a.m., and Sunday from 10 a.m. until 3:30 p.m. There you have it. 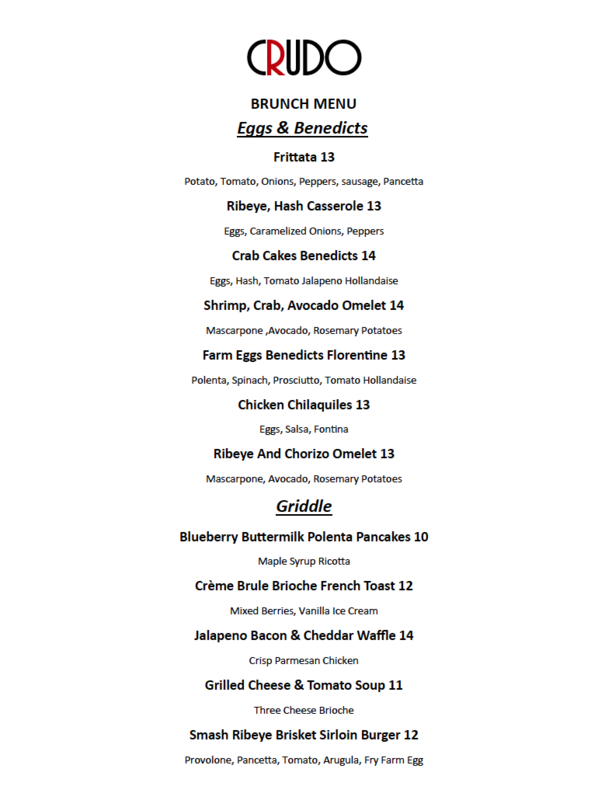 Take a look at the menus below.